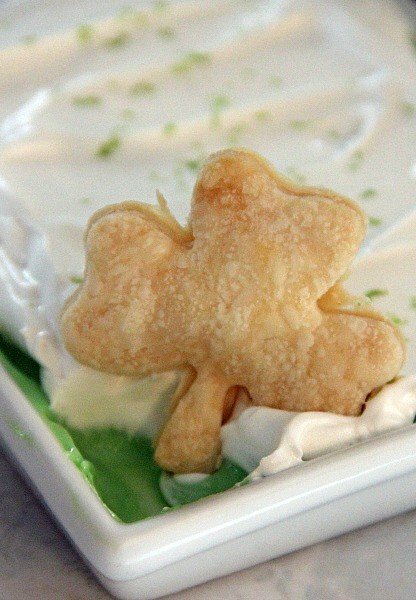 I love the creativity in these St. Patrick’s Day Desserts! Some of these would make excellent desserts on a hot summer day as well. 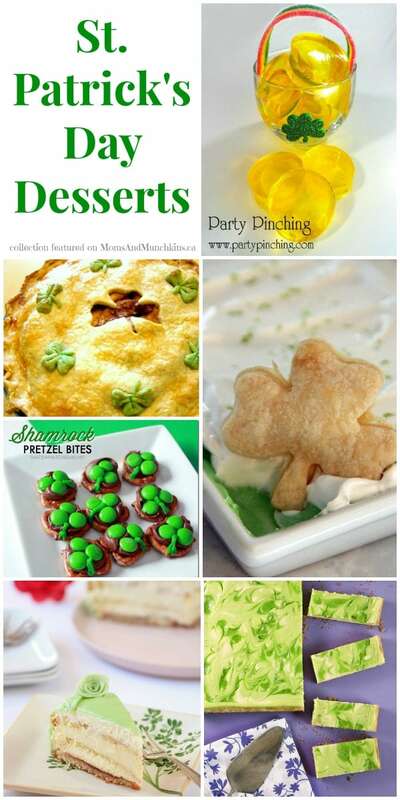 Want to view the recipe for one of these St. Patrick’s Day desserts? Simply click on the title of each and they’ll open up in new windows for you. Thank you to all the talented ladies who agreed to have their work showcased here! Now grab yourself a napkin because I have a feeling that there will be some drooling going on here. Let’s kick this off with a few of the creative St. Patrick’s Day Desserts you’ll find here on Moms & Munchkins! 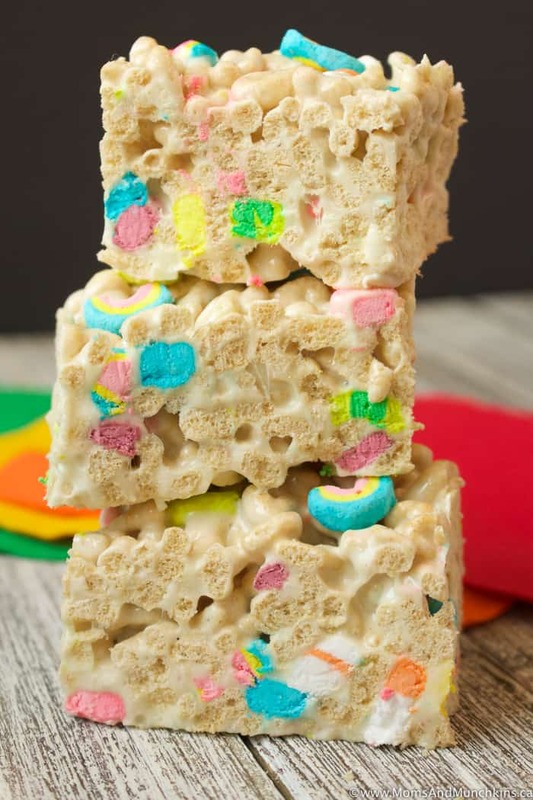 First up, Lucky Charms Marshmallow Squares. These work great as bait for your leprechaun trap! 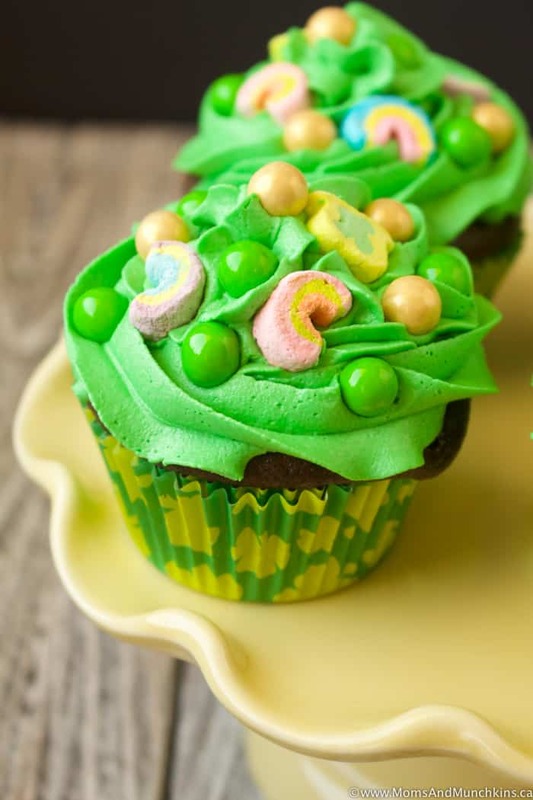 Next up: Hidden Treasure Cupcakes – delicious cupcakes filled with gold chocolate and Lucky Charms marshmallows. 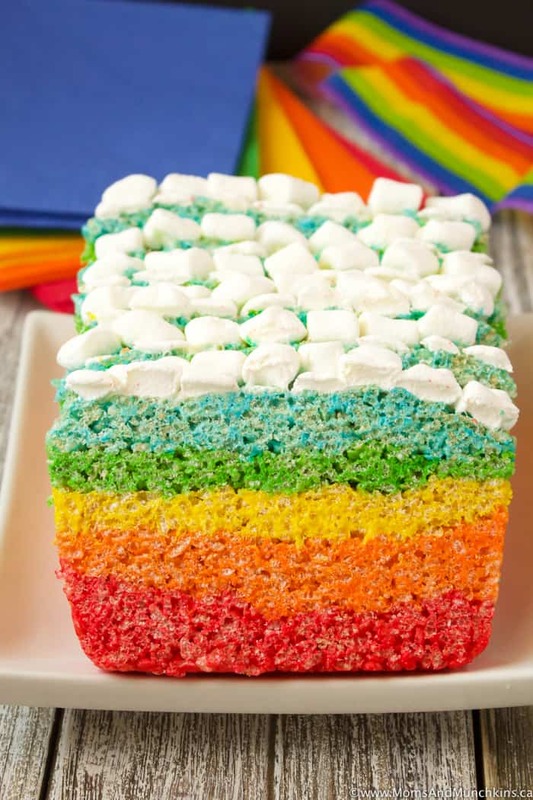 For a pretty no-bake treat, try this Rainbow Rice Krispies Cake! Great for a classroom party. 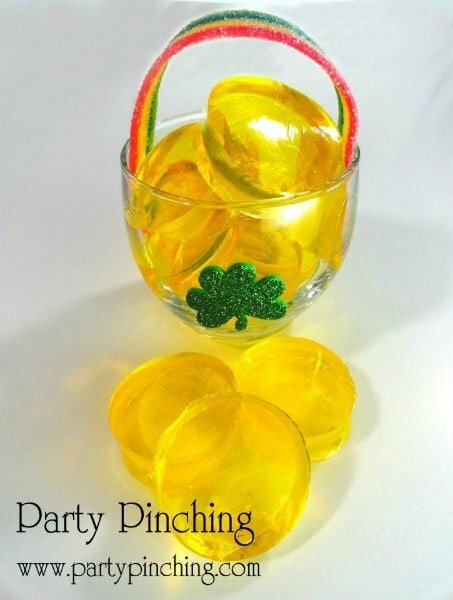 This JELLO Pot of Gold by Party Pinching is so clever! You’ll find loads of cute food ideas on her site. 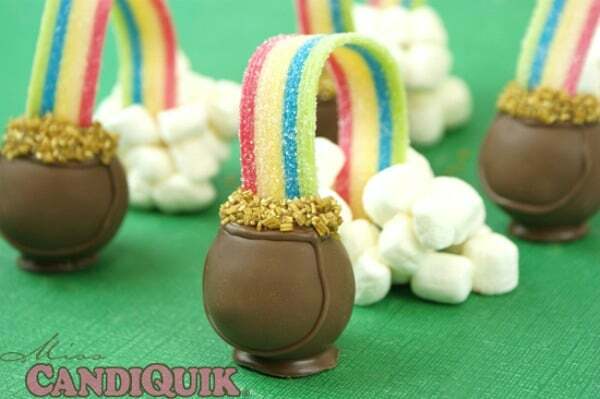 These Pot of Gold Rainbow Cake Bites by Miss CandiQuik are adorable! These would be the talk of your St. Patrick’s Day party. 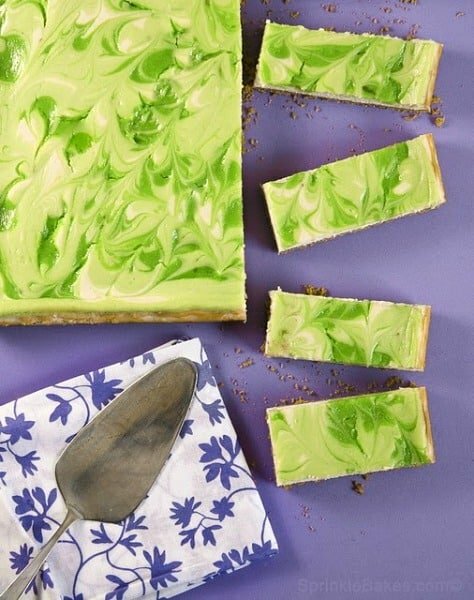 These Key Lime Swirl Cheesecake Bars by Sprinkle Bakes as featured on Confessions of a Cookbook Queen look delicious! Be sure to bookmark this one for your summer BBQ parties as well. 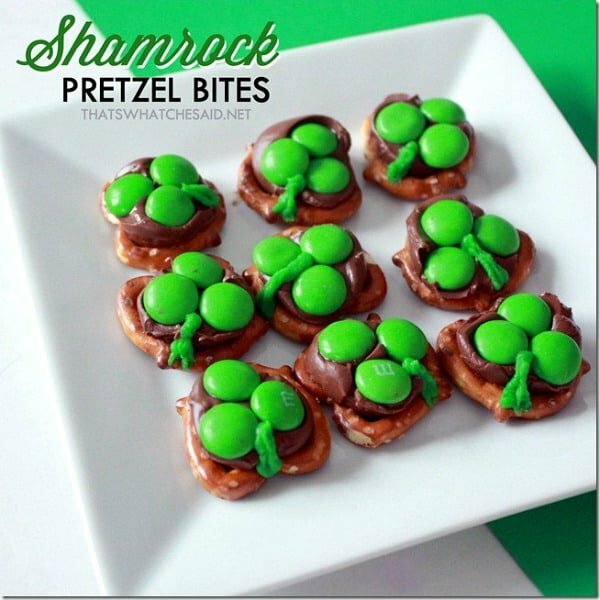 Your kids will love helping to create these Shamrock Pretzel Bites by That’s What Che Said. You better have some extra candies for decorating because I have a feeling that some will mysteriously disappear. Have you ever made anything with marzipan? 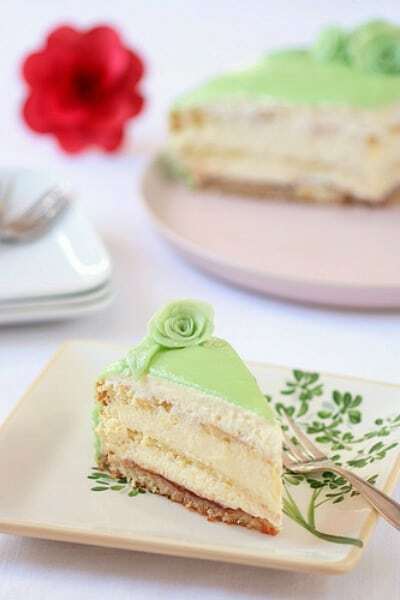 This Princess Torte by Tartelette looks delicious! This Key Lime Pie Dip with Shamrock Pie Crust Dippers by Jo and Sue is such a unique dessert! I love any dessert with key lime in the title! This is another delicious treat to bookmark for a summer treat. 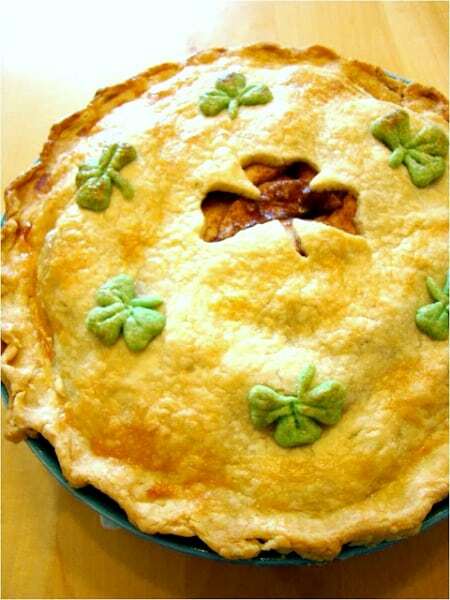 This St. Paddy’s Apple Pie by Family Feedbag is really cute. Just look at those little shamrocks on the crust! Visit our St. Patrick’s Day page for more delicious ideas, free printables, party ideas and much more!